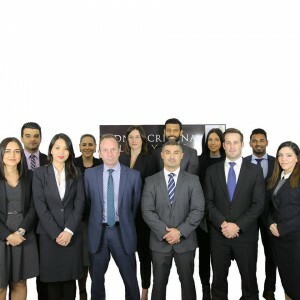 Posted December 4, 2018 by Sydney Criminal Lawyers & filed under NSW Courts, Traffic Law. On 21 June 2014, Sydney motor mechanic Jason Mansweto was driving his newly restored 1969 GT Ford Falcon XW sedan along Canoona Avenue in Windsor Downs, when he found that the brakes didn’t work as he tried to slow down to take a sharp left turn. Before the drive, the brakes of the unregistered and uninsured car had only been tested at low speeds. Mr Mansweto had just completed the restoration of the vehicle that afternoon and was taking it for its first test drive with his companion Mr Tooma. In an attempt to gain control of the car, 41-year-old Mansweto pumped on the brakes and pulled back on the steering wheel, which came off in his hands. The mechanic had fitted the wheel to the steering column the night before, but neglected to screw on the retaining nut. The car headed directly for house number 62. It careened down into a ditch in the front yard and became airborne as it left the other side. It then crashed into a flower bed dislodging rocks, before continuing onto the veranda and crashing into the front door of the house. At that moment, Vanessa Farrugia and Sylvia Vella were standing on the front veranda talking with Kate and Teresa Vella. Mrs Farrugia, who was pregnant at the time, was struck by flying debris. She suffered significant injuries and tragically lost her baby. Sylvia Vella also suffered serious injuries. She was hospitalised for three months and wheelchair bound for a further three. The other two women who were present suffered minor injuries. On 30 August 2016, Mr Mansweto pleaded guilty to two counts of dangerous driving occasioning grievous bodily harm, contrary to section 52A(3)(c) of the Crimes Act 1900. The maximum penalty for this offence is 7 years behind bars. Two counts of reckless or furious driving, contrary to section 53 of the Crimes Act, were taken into account on sentencing. These offences related to the injuries to Kate and Teresa Vella, and each carry a maximum penalty of 2 years imprisonment. Under section 166 of the Criminal Procedure Act 1986, the sentencing judge had a certificate before him outlining two related charges. The offence was using an unregistered motor vehicle on the road, contrary to section 68(1) of the Road Transport Act 2013. It carries a maximum penalty of a $2,200 fine. The second was driving an uninsured vehicle, contrary to section 8(1)(a) of the Motor Accidents Compensation Act 1999, which comes with a maximum fine of $5,500. His Honour recorded a conviction for both these offences, but under the provisions of section 10A of the Crimes (Sentencing Procedure) Act 1999 he took no further action on them. Two reports about the accident were tendered to the court. Senior Constable Parker’s report asserted the vehicle was travelling at 85 km/h at the time of the accident. A separate report from Nigel McDonald put the speed at 60 km/h. Initial hearings in September 2016 were adjourned until the 30 January 2017 to suit the criminal defence lawyers and witness. On the first day of the January hearing, the defence announced it was tendering a new report by Professor Rod Cross of Sydney University’s physics department. NSW District Court Judge Jeffrey McLennan raised “credibility” issues about Professor Cross due to his prior appearance in the court as an expert witness. The 2012 NSW Criminal Court of Appeal (NSWCCA) case Wood versus R involved the death of Caroline Byrne at the Gap. During those proceedings, Justice Peter McClellan found that Cross had involved himself in the investigation to an “extraordinary degree” and “actively promoted” his participation when not called upon to do so. To allow the prosecution time to consider the new Cross report, the proceedings were adjourned until June. A report by Professor Cross dated 2 February 2017 was served upon the prosecution on 22 February. At the 5 June hearing, Judge McLennan ascertained that there was a draft report ready at the time of the adjournment and his Honour called for that draft to be tendered. And whilst Senior Constable Parker was being questioned, the defence produced a DVD that featured measurements taken about a similar vehicle that had become airborne. His Honour upheld a prosecution objection to the new material as it hadn’t been submitted prior. He ordered that a copy be given to the Crown. The prosecution and defence eventually agreed Mansweto was driving at between 60 and 80 km/h in the 50 km/h speed zone. This meant the defence’s expert witnesses no longer had to give evidence. Judge McLennan ultimately imposed a 3 year and 6 month prison term for the count that related to Mrs Farrugia and a 2 year sentence for the one relating to Ms Vella. This led to an aggregate sentence of 4 years and 6 months, with a non-parole period of 2 years and 9 months. This sentence reflected a 10 percent discount for Mr Mansweto’s early pleas of guilty. The utilitarian value of his guilty pleas, his Honour found, was “substantially eroded by protracted contest over the facts”.  Mr Mansweto appealed his sentence to the NSWCCA on 10 August this year. He did so on three grounds. The first was that the remarks and actions of the sentencing judge created an apprehension of bias against the offender. This bias, the defence submitted, was evident in the sentencing judge’s comments about Professor Cross, his reaction to the unserved DVD and his insistence that the draft report be disclosed. However, the panel of three appeals justices found that the sentencing judge had not exhibited bias. They determined that his Honour’s reaction to the DVD arose due to the late submission of the Cross report in January, which led to an adjournment in a court system that is already notorious for its “significant delays”. In regard to his Honour’s comments about Cross, the court found that the judge was merely drawing attention to a case where the professor had acted “without the integrity of an expert witness”. And in reference to the draft request, the panel found that the sentencing judge was merely “driven by procedural considerations”. The appeals court therefore rejected this ground. The second ground of appeal was that the sentencing judge had made an error when considering the offences on the section 166 certificate. However, the justices did not consider this ground, as they had already come to a decision about the third ground. This third ground was that the sentence was manifestly excessive due to Judge McLennan’s determination that Mansweto’s had a high level of moral culpability. The NSWCCA justices pointed out that, at the time of the accident, the offender was not affected by drugs or alcohol. Indeed, the dangerous driving arose as a result of the unsecured steering wheel and faulty brakes. Their Honours found that the unfastened steering wheel was indeed a “grave oversight”, but the problem with the brakes was not due to the offender’s negligence. They noted that the speed at which the vehicle was travelling was not a contributing factor to the “loss of control”. The judges took into consideration that Mr Mansweto is a “fine and decent man” and had shown profound remorse. They balanced this against the severity of the injuries suffered by his victims, his carelessness and the fact that he was travelling over the speed limit. “Upon these considerations we are of the view that the aggregate sentence passed by his Honour was manifestly excessive,” the NSWCCA justices remarked, as they upheld the third ground. The NSWCCA panel consisted of Justices Anthony Meagher, Clifton Hoeben and Des Fagan. On 17 October this year, their Honours ordered that the appeal be upheld and the sentence imposed by the District Court be quashed. They sentenced Mr Mansweto to 2 years and 4 months imprisonment, with a non-parole period of 1 year and 4 months. In relation to the 3 year automatic licence disqualification covered under the provisions of section 205 of the Road Transport Act 2013, the appeals court found it commenced on the day of the accident and had already expired at the time of the ruling.